Monarchs can travel up to 8,000 km per year. That’s twice the distance of the American West Coast! The Monarch’s fiery orange and black wing pattern is instantly recognizable and reflected in childhood drawings around the world. This beautiful, large, and iconic species of butterfly has an extraordinary migration pattern, flying from Canada all the way to Mexico. Having completed their mammoth journey, the Monarchs arrive in the hills of Michoacán, Mexico, where they settle down for a few months to rest and breed in the protected nature reserve. The livelihood of the Monarch butterfly depends entirely on the Oyamel tree, or Abies religiosa, that grows here. Several hundred million Monarch butterflies spend the winter clinging to these fir trees that protect them from the rain and chill throughout the winter months. Today, the protected area where the Monarch butterfly can live and reproduce is under threat, with Oyamel trees illegally harvested by people who do not realize their immense value to the surrounding ecosystem. Also, a major forest fire in 1978, followed by seasonal rains, washed away fertile soil. This has meant that hundreds of thousands of tree seedlings, planted in an effort to restore this area in the last 30 years, have died and natural restoration is not happening at a sufficient rate to fully restore the Monarch habitat. The disappearance of the Oyamel forest is not only affecting the Monarch butterfly but the local communities that rely on the forest for their livelihood, water management, and protection. They are taking action and have started 24-hour surveillance to stop illegal logging, but still lack the funds or technical knowledge to restore the degraded lands surrounding their homes. Land Life Company was on hand to help. Together with CONAFOR (Mexican Ministry of Forestry) and CONANP (Ministry of Protected Natural Areas), the local community and World Wildlife Fund (WWF), we kicked off the reforestation project in the first week of April 2016. 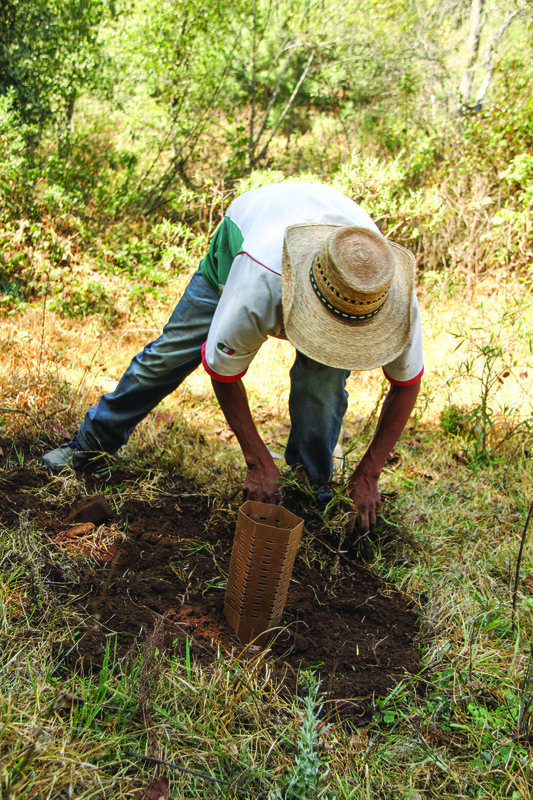 By teaching the local farmers new planting techniques we hope to help restore 100 hectares of degraded forest land, adding to the Monarch’s precious habitat. Peru is home to many rare and beautiful indigenous animals of which is truly balancing on the fence of extinction. Land Life spoke with the former Dutch Ambassador to Mexico, to discuss the country's restoration projects.